Qiu Miaojin, Last Words from Montmartre. 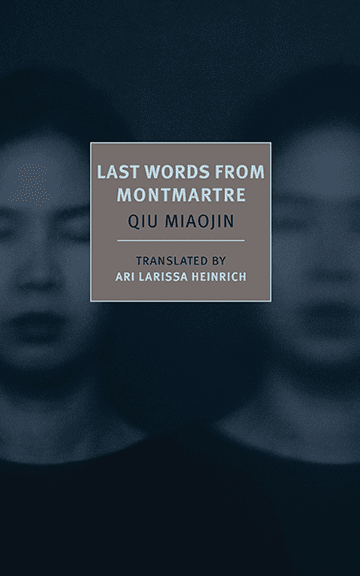 When the pioneering Taiwanese novelist Qiu Miaojin committed suicide in 1995 at age twenty-six, she left behind her unpublished masterpiece, Last Words from Montmartre. Unfolding through a series of letters written by an unnamed narrator, Last Words tells the story of a passionate relationship between two young women—their sexual awakening, their gradual breakup, and the devastating aftermath of their broken love. In a style that veers between extremes, from self-deprecation to pathos, compulsive repetition to rhapsodic musings, reticence to vulnerability, Qiu’s genre-bending novel is at once a psychological thriller, a sublime romance, and the author’s own suicide note.